...which are actually on the evening of the 3rd July!! 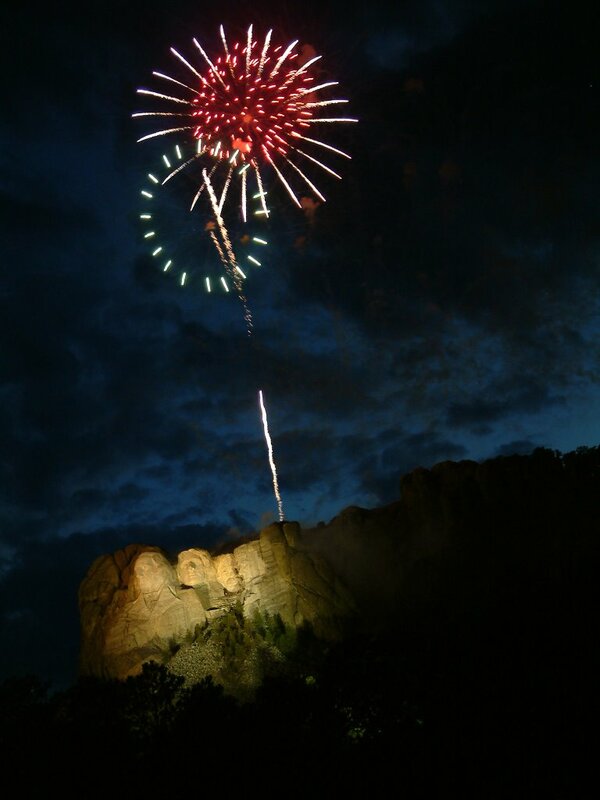 Have just got back from a spectacular 1/2 hour firework display held at Mount Rushmore at dusk - a very damatic setting it was just brilliant. Incredibly busy but being on the bike made parking pretty easy so we had a great spot to watch from. (Despite the woman in the local tourist info centre this afternoon who basically told us NOT to try getting to Rushmore today - roads would be closed etc - absolute rubbish - the road right to the monument area was free-flowing - the small issue was finding a parking spot but bikes were just filling the gaps between the cars so we were no more than 1/4 mile from the real parking area anyway! And we'd even told her we were on a bike and she'd still told us not to go) Anyway....the photo just doesn't do it justice!